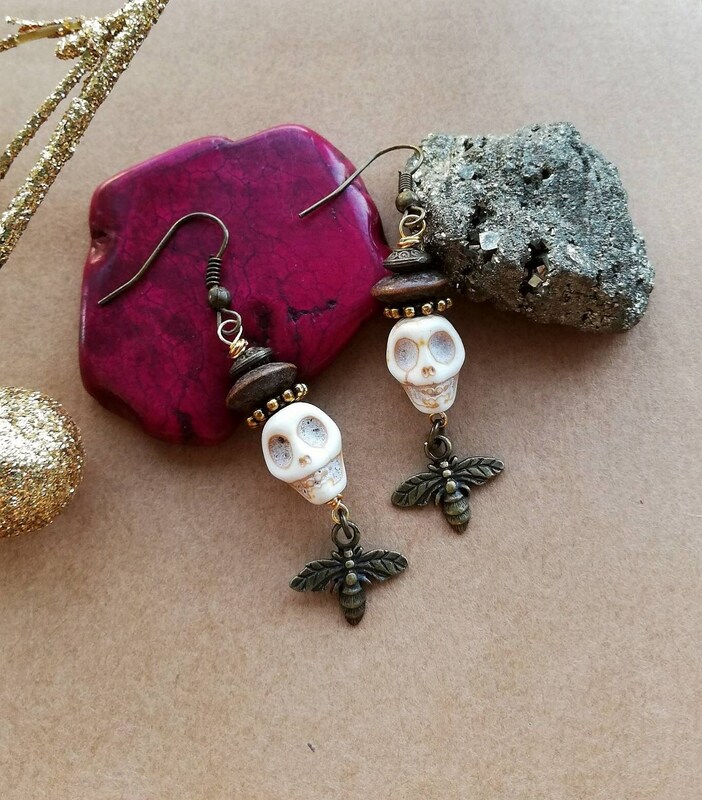 I am excited to share this listing featuring another pair of tribal skull earrings. 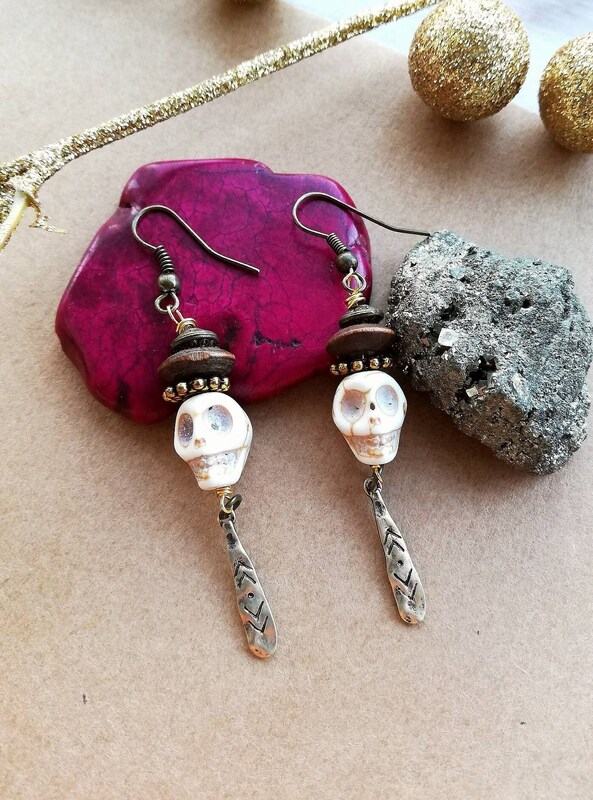 These take inspiration from Baron Samedi legend. 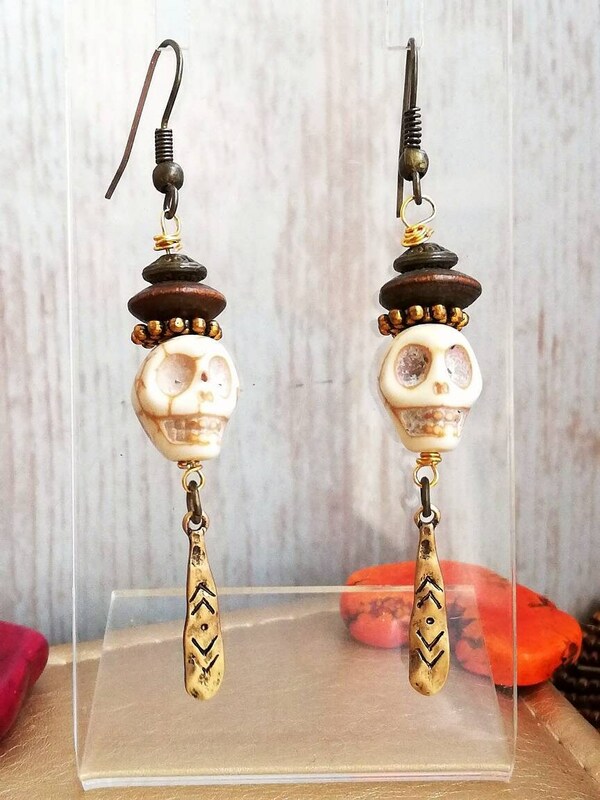 He is a Haitian ‘Loa’ or spirit. He is often pictured with a top hat and I attempted to recreate this look (in beaded jewellery form!) 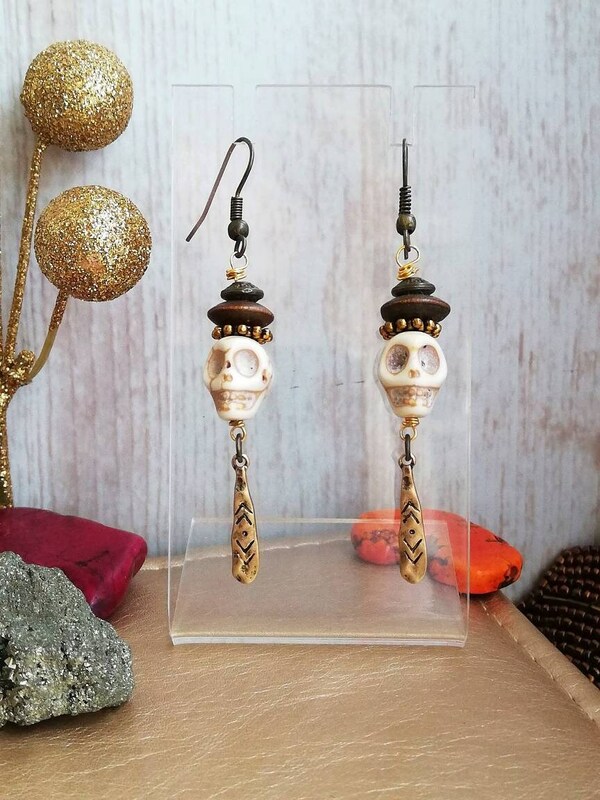 with dark wooden disc beads placed atop the skull. 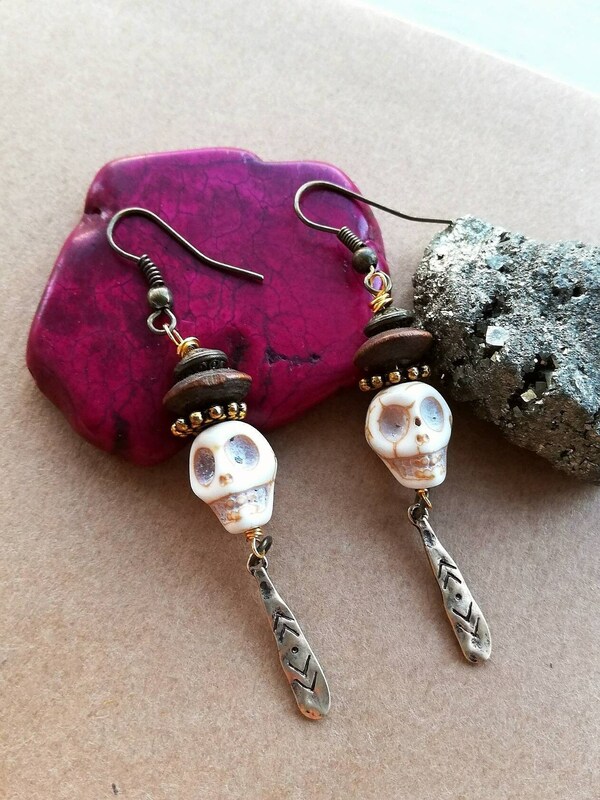 These skull beads are 13mm large and carved from the natural mineral howlite. 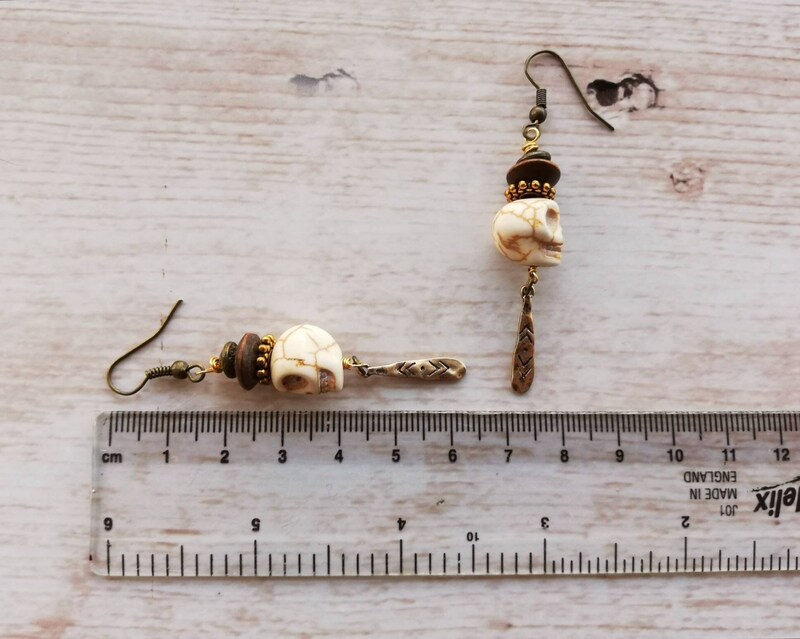 The beads are three dimensional and each has unique striations and markings. 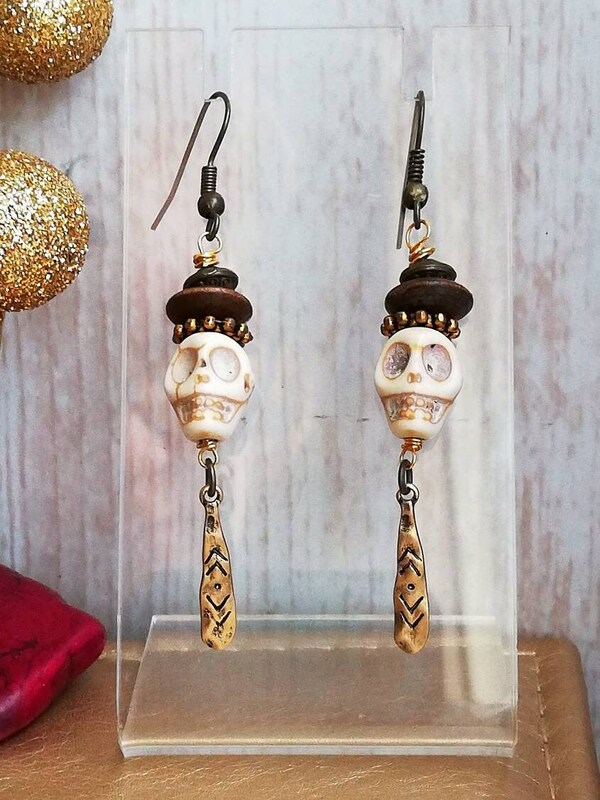 I accompanied the skulls and wood beads with vintage gold coloured spacers and a drop pendant (sized 18cm). 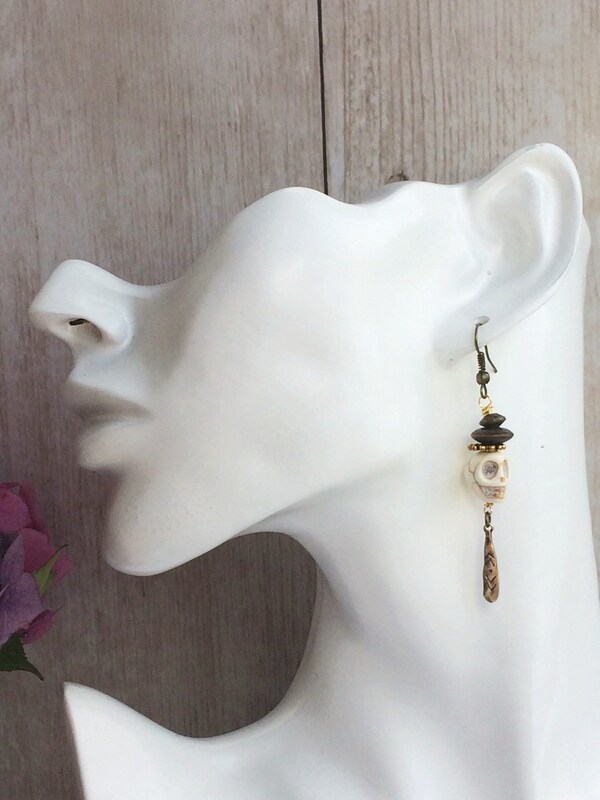 This is a hammered textured charm with geometric black markings. 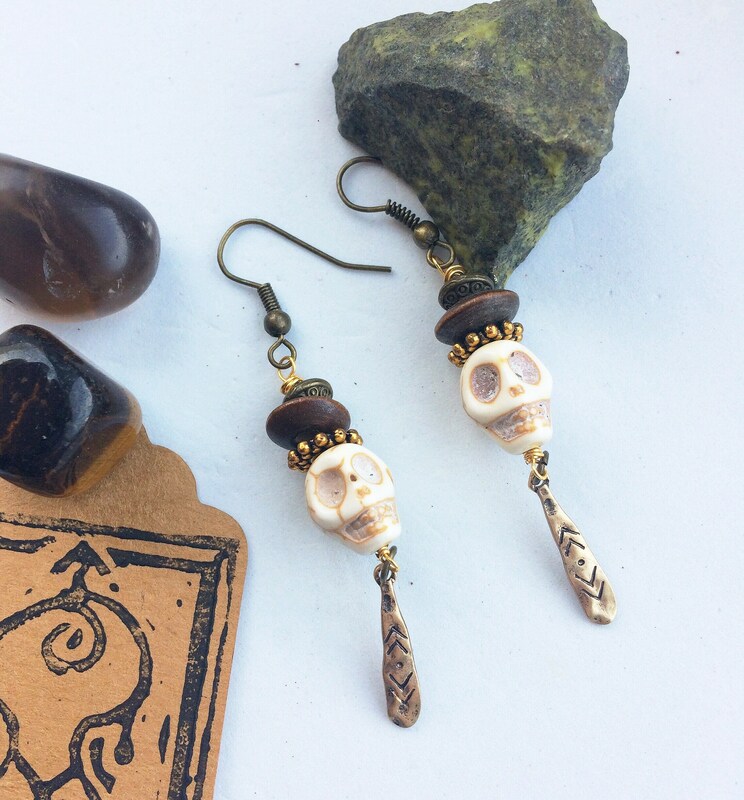 With the addition of these drops I hope to compliment the tribal, folky, magic theme.